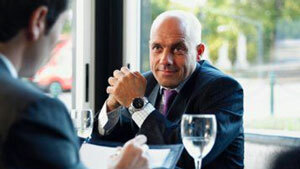 What are the norms in a job interview over food? I went to the advice books and found this: Much of the advice feels like that which you might hear for any job interview, except for “don’t order food that is messy to eat” and then one about “don’t drink alcohol. ever” And that one I saw again and again: which tells me something that I already knew, that interviews are all about frames! But what does this matter? Well, interviews over food are “good to think.” When you introduce food and move the location, many of the underlying issues around power, embedded assumptions about behavior in this context rise to the surface. Questions like “should I offer to pay the check?” or “how do I know when the meal is over?” reveal that there is much more going on in a job interview than meets the eye! I advocate for a job interview as an opportunity for practicing empathy. Both participants are likely to be quite nervous, both are likely reading the other one for cues that can easily be misinterpreted. As an interviewee, we can pay attention to some of the big ones like being polite to the waiter and noticing whether our potential employer is as well, but when it comes to the smaller, more micro level cues, a healthy dose of generosity can go a long way. Be generous with questions if something seems amiss, be generous with listening – deeply listen with empathy and curiosity. Be generous about yourself. Let as much of yourself be known as you are willing and able to. It could be a trap, but the more you choose to see and interpret behavior through this lens, the more you will be assured that it becomes so. Now, it is of course illegal for a potential employer to ask you about family, but if you are someone for whom family is very important and you would “normally” talk about them with your colleagues, and you find a conversational opportunity to mention an aspect of your family life, if you choose to do so and are not hired because of that, you may wish to ask yourself whether you would be comfortable working with those folks at all.